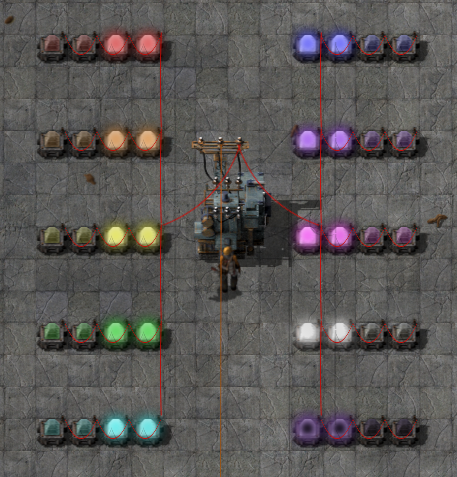 [MOD 0.12] Color Coding - Trains, Lights, and Concrete! Unfortunately due to carpal tunnel I have had to give up gaming and modding for a while to ensure I can continue to function at work. Many Thanks to justarandomgeek for updating the mod for 0.13! If you want to remove CC from your maps before upgrading to 0.13, you can use the remover in version 0.12 to reset all objects back to their non colored versions. Description: Adds color-coded locomotives, indicator lamps, and concrete. This is a mod I put together by request for FireBlade212 on Twitch. 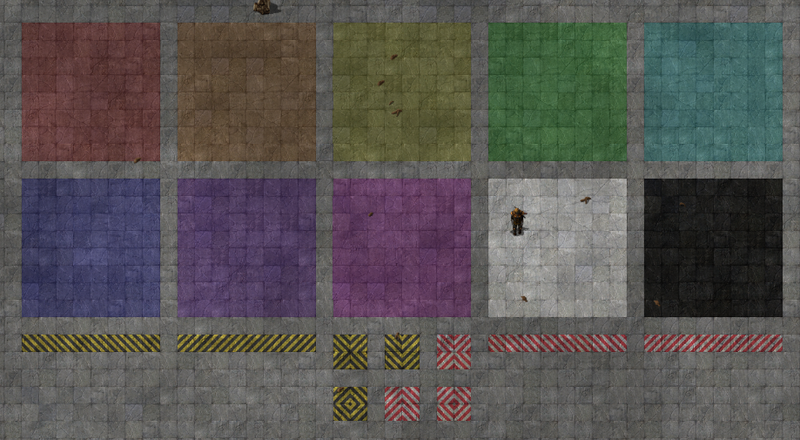 It adds sets of color-coded locomotives, indicator lamps, and concrete types to the game, which can be researched after their base technologies are unlocked. The primary purpose of the mod is to help organize and color code your factories, though it could also be used decoratively, and the colored lamps may have interesting uses with the circuit network. The included colors are red, orange, yellow, green, cyan, blue, purple, magenta, white, and black. * Add colored stone paths. * Add lights-only download version. * Adjusted crafting energy from 0 to 0.01 for compatibility with 0.12.8 update. 1.0.6 (2015-08-16) - Optional update. This update has no immediate gameplay effects aside from adding german language support. If 1.0.5 is working fine for you, you can skip this one. * Fixed that recipes were inadvertently unlocking every time the mod is updated. * This update will re-lock coloring recipes that you haven't researched. * Reduced power consumption of indicator lamps by 95% (5KW --> 250W). * Slightly increased maximum range of circuit network connections for indicator lamps (7.5-->10). This makes them reachable anywhere within a substation's coverage. * Moved all easily-adjustable settings to a central file (./prototypes/config.lua). If you want to customize the mod, just unzip it, delete the zip, and then edit this file. - Used to be 1 concrete yields 10 colored concrete. Whoops! * Improved lamp sprites significantly; now only the lamp lenses are tinted; the frame of the light is not colored. * Improved lamp glow sprites; they don't all look white anymore and are much more distinct during the day. * Added black indicator lamp by popular request; I tried to make it look similar to a UV blacklight. * Added sprite replacement for stock locomotives because the faint red on them was not distinct enough from the red train. * Picking up colored items now 'uncrafts' them, reverting them to stock. This minimizes inventory clutter while making it possible to recover and re-color objects without crafting new ones. Works with construction bots too! * Renamed "Unmarked" train to "black" to be consistent with the rest of the objects. * Supported colored trains only. To be on the safe side, back up your /mods/ and /saves/ folders before you begin. Download the remover tool version of the mod above ("color-coding_9.9.9.zip") and place it in your /mods/ folder. Delete the color-coding_1.x.x.zip file from your /mods/ folder (or just move it somewhere else). 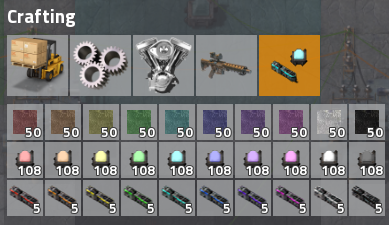 Load and re-save the save(s) that you want to remove color coding from. All colored entities will be replaced with their stock equivalents when you load them -- you will get a popup on load confirming this. After you save, THIS CANNOT BE UNDONE! Make sure you have backed up your saves before doing this! Delete color-coding_9.9.9.zip from your /mods/ folder. Color coding is now uninstalled, and you will not have lost any concrete, lamps, or locomotives in the saves you did this process on -- they will all have reverted to stock colors instead. Last edited by d3phoenix on Wed Jun 29, 2016 6:34 pm, edited 96 times in total. 1st! and can't wait to try it out! going to be nice having trains fly by, knowing that that one is a coal.. that one is copper.. and that.. THATS A .. A MIGHTY FINE RARE PAX TRAIN! edit: 105mb zipped.. can we get masks on trains now? lol. When i stream twitch i always answer questions and try to help, come visit me. OBAMA MCLAMA wrote: edit: 105mb zipped.. can we get masks on trains now? lol. Added new blend modes for sprites using "blend_mode" property. Possible values: "normal", "additive", "multiplicative". Haven't gotten around to test it out. OBAMA MCLAMA wrote: THATS A .. A MIGHTY FINE RARE PAX TRAIN! * Mod has been renamed to "Color Coding" and now supports small-radius indicator lights and concrete in addition to trains. * The crafting of colored items has all been moved to a dedicated inventory tab to keep things clean. * Reverting a color change is now as easy as picking up the colored item. It will switch back to a stock part in your inventory. This makes it easier to remove the mod later if you decide you don't want it, and also minimizes inventory clutter. Picking up loads of colored items will no longer clog your inventory. * An automatic migration script is included. Move your old ColoredTrains zip file out of your mod folder and put the new color-coding one in, and the next time you load a save, any existing colored trains on your map will be imported into the updated mod automatically. 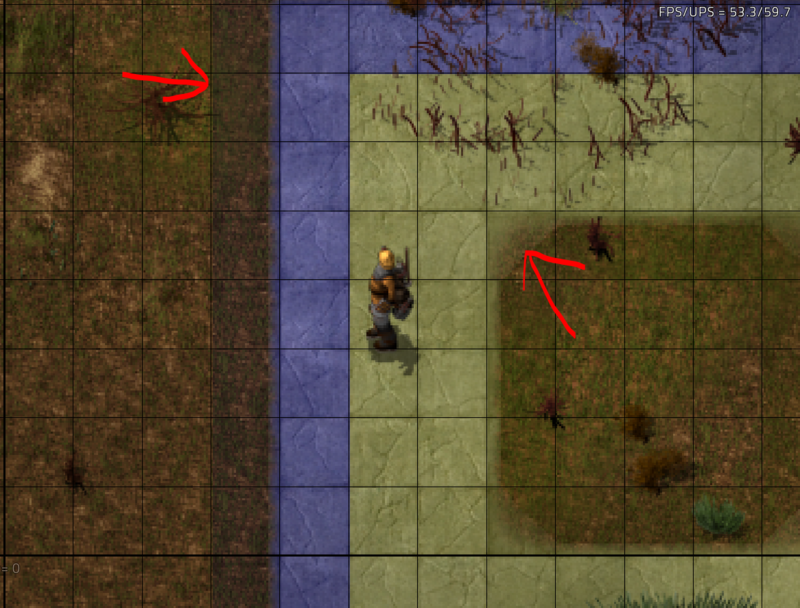 Re: [MOD 0.12] Color Coding - Trains, Lights, and Concrete! This is awesome. No more guessing which train is which. Is it possible to change the gray/black one to actually have a dark/black ring around the top? It's sort of an all gray colorless thing and I'd rather have a 'coal' colored ring. Its a great mod! I always wanted colored lights and concrete, so really thanks for that great mod! Super useful. This has been fixed for the 1.0.2 release, due out when the game updates to 0.12.2. I noticed this on the lights, too. This is an artifact from the photo editing process. It's on my to-do list to fix. Last edited by d3phoenix on Mon Jul 27, 2015 2:24 am, edited 1 time in total. The shadows around concrete and lamps have been fixed for the next version, and the sprites for the lamps have been dramatically improved. Great mod! But don't you think that colors of the locos are a bit oversaturated? Also I did a white version for trains. In my mind it went out fairly well. I will include this in the next version. Would you mind detailing your method, or applying the same effect to the diesel locomotive icon? I'll need a white stripe version of it for the inventory icon. It's the 32x32 one @ ./data/base/graphics/icons/diesel-locomotive.png. I'm also looking for a way to do a black stripe version instead of the 'unmarked' looking one, if you have any ideas on that. And as far as the saturation goes... well, the idea was to make the trains very visible even at a glance, but I do think I overdid it. I'm toning it down slightly for the next release. It is fairly simple. I just selected a mask using a "color range" then desaturated, adjusted brightness and decreased contrast. Pretty simple, especially using the automation tools of PS. I made a black version with an icon and added another icon for the white loco. You are awesome, thank you so much! I don't have photoshop; I've been mostly using a combination of GIMP and Pinta, and i'm no expert with either of them. This is all going into the 1.0.2 update when 0.12.2 comes out. They look great in-game! I've added a credit to you on the original post, as well as within the zip file in both affected folders. Now that I have a complete set, I'm going to make the mod replace the stock locomotive sprites with my old "unmarked" one, giving a total of 11 distinct train colors (the base game's faded red is not different enough from the saturated red train imo). In my mind the black color isn't very effective for lighting. A lamp that doesn't produce any light it's a bit strange thing. I don't quite sure how to fix this issue, because this is a conceptual and not technical problem. What do you think? I agree -- people wanted a complete set so I added it anyway (nobody has to craft them after all). I'm still playing with the graphics for it. Black and its weird darkening effect is interesting, but not really useful. I'm working on an updated sprite that mimics a "UV black light" appearance. This is awesome for many reasons! I have wanted colored lights for the longest time, and having the colored locos and concrete is even better in addition. I would like to do a mod spotlight on this if you wouldn't mind? Xterminator wrote: This is awesome for many reasons! I have wanted colored lights for the longest time, and having the colored locos and concrete is even better in addition. I would like to do a mod spotlight on this if you wouldn't mind? 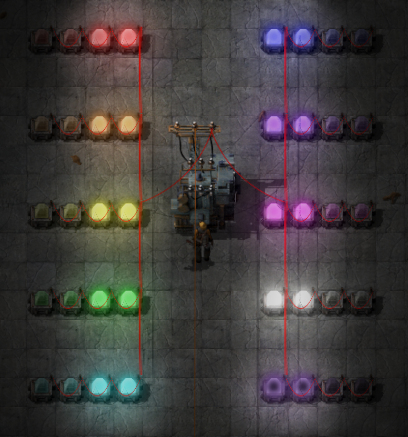 There was a Coloured Lights mod for alpha 11. Absolutely, I'm glad you like the mod! Was on the 1.0.0 version of the mod. Updated to factorio 0.12.2 and had no issues upgrading to the latest version of the mod. Great mod, simple clean and no game functionality changes.